This Memorandum of Understanding (“MOU”) memorializes the understandings between Mt. Emmons Mining Company (“Mt. Emmons”), a wholly owned subsidiary of Freeport-McMoRan Inc., and the local and state government parties (“Government Parties”) listed below (collectively, the “Parties”) should Mt. Emmons acquire the Mt. Emmons Mine Site, including the historic Keystone Mine and the existing water treatment plant (“Plant”) (collectively, “the Site”) from U.S. Energy Corp. (“USE”). 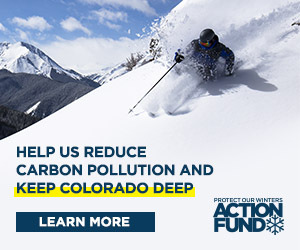 The Government Parties the Colorado Department of Public Health and the Environment (“CDPHE”), its Water Quality Control Division (“WQCD”) and Air Pollution Control Division (“APCD”), Colorado Department of Natural Resources (“DNR”), its Division of Reclamation Mining and Safety (“DRMS”) (collectively, “State Agencies), Gunnison County, Colorado (the “County”), and the Town of Crested Butte, Colorado (the “Town”). The purposes of this MOU are to protect the public health, safety, welfare and the environment, and to serve as a basis for future cooperation and agreement among the Parties on the matters addressed herein. The Government Parties will assist Mt. Emmons in identifying and supporting cost effective solutions at the Site to ensure on-going protection of public health, safety, welfare and the environment, in exchange for other considerations given in this MOU. Mt. Emmons has agreed as a goodwill measure to voluntarily pre-fund by escrow or other suitable mechanism the first two years of contactor labor costs at the treatment plant (based on the annual operating budget of approximately $1 million) following the transition of site ownership to Mt. Emmons. Monthly invoices will be paid from the escrow account or other equivalent. Support Mt. Emmons in acquiring the Site and assist in ensuring compliance with all applicable environmental laws and regulations. Find and implement technical solutions to the environmental issues at the site. Discuss long-term funding for environmental issues at the Site. Transfer any federal, state, and local permits and authorizations from USE to Mt. Emmons as soon as practicable after transfer of the Site. Pursue disposition of the mining and mill site claims fee simple lands in a mutually beneficial way. Collaboratively work to develop site-specific water quality standards for Coal Creek that may include monthly technical meetings with interested Parties. Continue the current administrative extension of the Colorado Discharge Permit System discharge and stormwater permits until after a final decision is issued by the Water Quality Control Commission in the June 2017 Gunnison Basin Rulemaking proceeding. Work with the federal legislative delegation on any mutually acceptable legislation required to implement long term solutions. The Parties recognize that this MOU is only a first step in a long-term relationship. The parties commit to working together to achieve further agreements to address the actions listed above in more specificity. The Parties do not intend this MOU to have any effect on the past, present or future liability of Mt. Emmons or any other related entity, as no such liability has been determined as a matter of law, and none is to be implied by or inferred from this MOU. Rather, Mt. Emmons has been proactively cooperating with the Government Parties to ensure sustained operation of the Plant and appropriate management of ancillary environmental issues described in this MOU. Consequently, this MOU should be read to reflect that the actions of Mt. Emmons are voluntary and not compulsory, and the Parties intend this MOU to facilitate a public-private partnership focused on addressing the issues in the manner described in this MOU. This MOU is intended as a measure of good faith and fair dealings between the Parties and as a basis for long-term cooperation in furtherance of future agreements. The Parties do not intend this MOU to be, and shall not be, the basis for a non-cooperative legal action or vehicle for enforcement. Further, no person that is not a party to this MOU may rely on any provision of this MOU for any purpose.